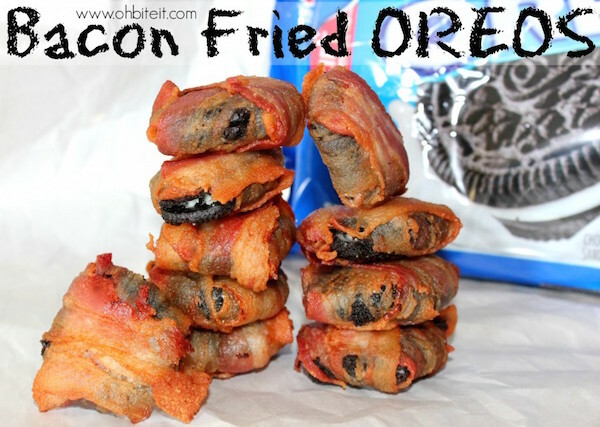 Home › Art › “Bacon-Wrapped Fried Oreos”! Amazing Recipes! Incredible Pictures! Bacon Madness! 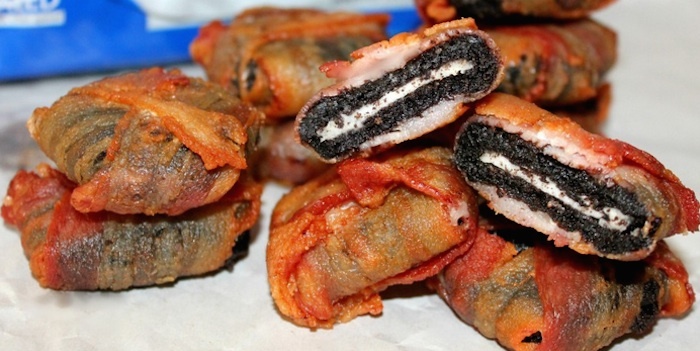 A Bacon-Wrapped Deep Fried OREO! 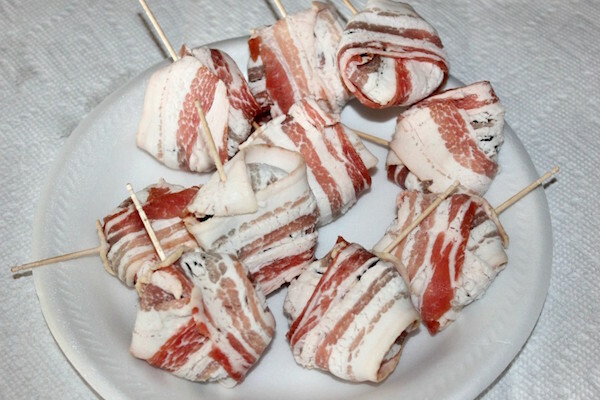 Angie sent me the link to “Elitedaily”, where there are pictures of the entire process for making your own bacon-wrapped oreo snacks! 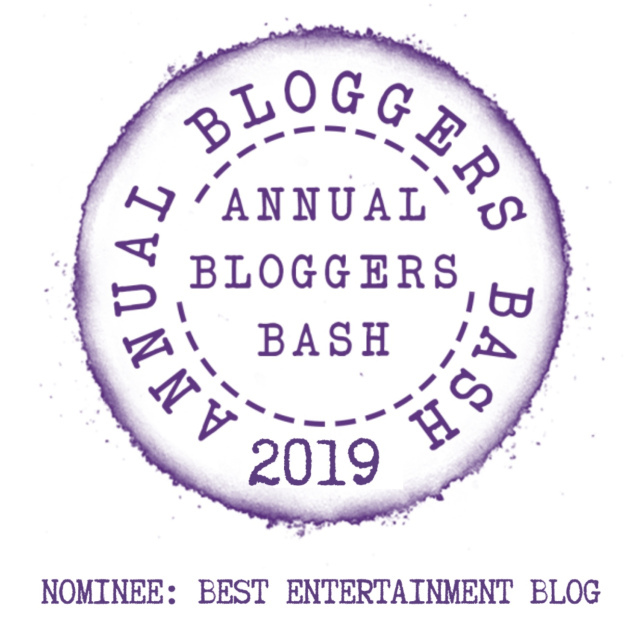 Thanks again to both “ohbiteit.com” and “elitedaily.com” for a great taste sensation. 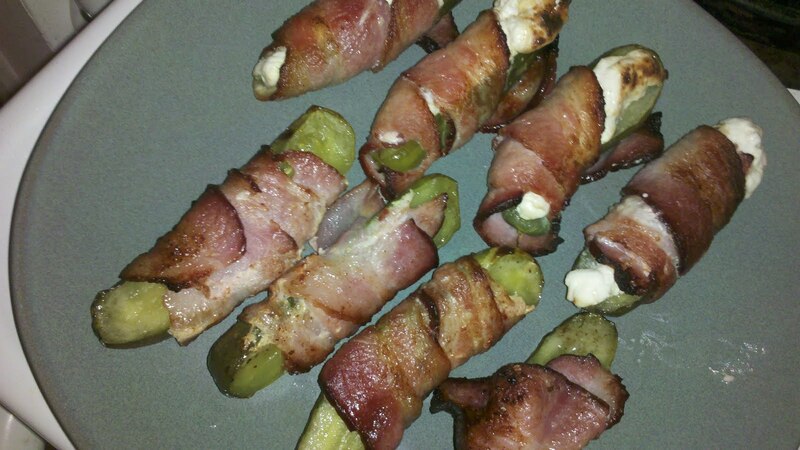 As you can see, the “bacon wrapped” frenzy continued! Remember when I told you about this? ‹ “Birdemic!” Brilliant Shocker Or Worst Movie EVER? “Who Will Survive” Watching It!?! OK, this has gone too far now. Bacon wrapped deep fried chocolate cream biscuits. Whatever next? I am sure that you already have these over there. Pete, deep fried “anything” is delicious – thanks for sharing!